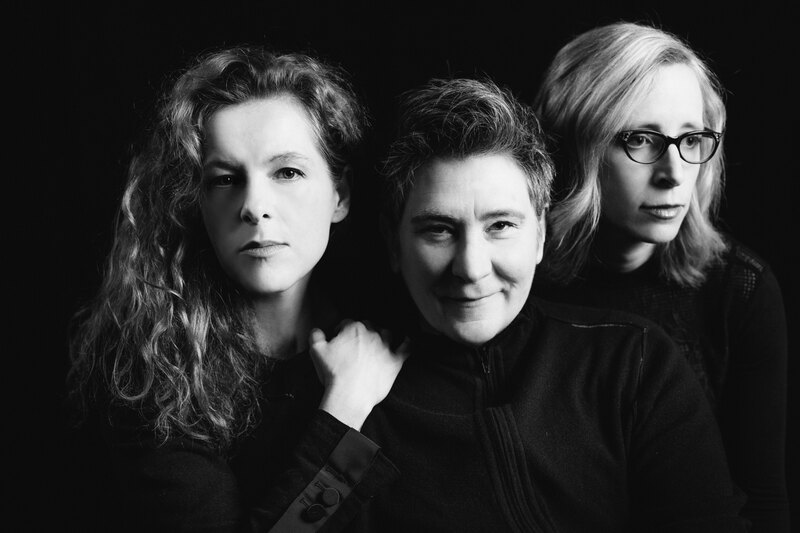 case/lang/veirs – This supergroup, inspired by the Traveling Wilburys, consists of Neko Case, k.d. lang, and Laura Veirs. I’m a fan of Neko’s, and she’s popular enough now that you’re probably aware of her powerful, distinctive voice. I’ve obviously heard of k.d. lang, although I don’t know much of her music. The unknown of this collaboration, Veirs, is a folk musician from Oregon who’s written a lot of songs. While she apparently took the brunt of the writing duties on the album, all three of them were involved; there aren’t any covers. The harmonization between the three voices works really well. None of the songs have really stuck with me all that much so far, but “Honey and Smoke” might be my favorite. They’re mostly pretty quiet numbers with some folk and country influence. The opening of “Best Kept Secret” reminds me of that of the Young Fresh Fellows’ “Deep Down and In Between,” but even though Neko knows the Fellows, I don’t think it’s close enough to necessarily be intentional. Besides, the moods of those two songs are pretty much completely opposite. Interestingly, most of the negative Amazon reviews are from lang fans who think the other two are bringing her down. They’re entitled to their opinion, but dissing Neko is Not Cool. Beth and I have tickets to see the three perform together later this month. In other musical news, today is the the twentieth anniversary of the release of the Spice Girls’ “Wannabe,” the song that introduced the phrase “zig-a-zig-ah” to the world. Remember, that isn’t want Mel B. actually wants to do, just what she wants to WANT TO do. And slamming your body down and winding it all around sounds rather painful. The video shows the quintet running around a hotel without bras on, kissing and dancing with what I think are nineteenth-century upper-crust English stereotypes. The group name is kind of odd considering spices are one thing Britain is very much NOT known for. Maybe they’re shills for the British East India Company. When the Girls were current, I largely ignored them. I’ve come to accept that they’re fun and cute, even if their lyrics aren’t all that thought-provoking. Hey, back then was when I was first getting into They Might Be Giants, who are also catchy but have an avant-garde style to their lyrics. Beth and I went to see the Spice Girls on their reunion tour some years back. I understand they’re planning another one, but Victoria and Mel C. don’t want to be involved. Come on, girls, don’t you want to make it last forever? Friendship never ends! This entry was posted in Albums, Music, Neko Case. Bookmark the permalink. I made it two minutes into a spice girls song before turning it off — new record! Most of them aren’t much longer than that, really.